Based on Steve Stoute’s best-selling 2011 book, The Tanning of America: How Hip-Hop Created a Culture That Rewrote the Rules of the New Economy, VH1 is set to premiere the four-part, four-night television event that will take a look at how hip hop has played a role not just in the entertainment world but in politics, civil rights and American culture as a whole. Using Barack Obama‘s historic victory in the 2008 election as a catalyst, the documentary illustrates how (to use Diddy’s words) “hip hop put him in office” as the country has become more culturally diverse. From TV’s The Jeffersons to The Fresh Prince of Bel Air, and films like Do The Right Thing and 8 Mile, The Tanning Of America plots the “hip hopification” of America since the late 1970s. It also features never-seen-before footage and interviews from numerous pop culture icons and entertainment personalities in America: Diddy, Pharrell Williams, Al Sharpton, Cory Booker, Mariah Carey, Will.i.am, Russell Simmons, Nas, Rev Run, Rick Rubin, Fab 5 Freddy, Jimmy Iovine, Brett Ratner, Brian Grazer, Tommy Hilfiger, Ron Howard, Steve Stoute and many more. 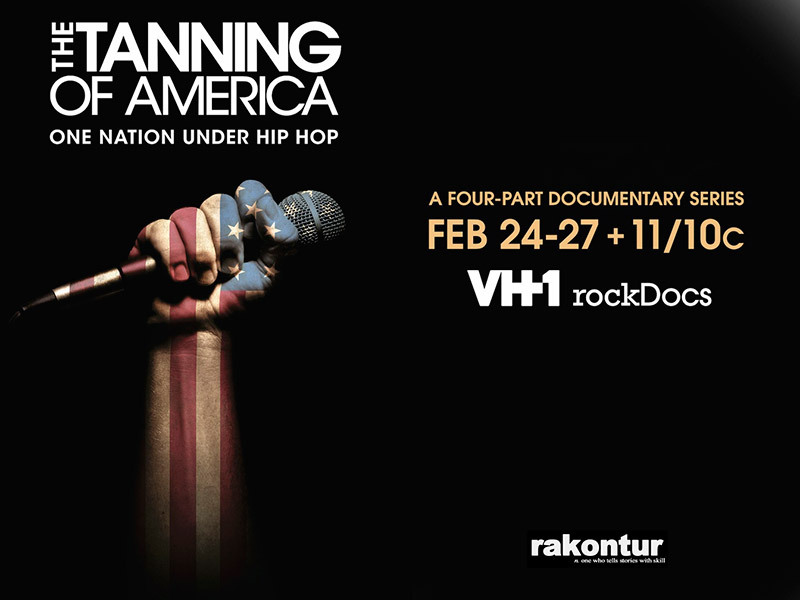 The Tanning of America: One Nation Under Hip Hop will air in one-hour increments beginning Monday February 24 through Thursday February 27 at 11 pm EST each night.